Paul has seem to lose that touch forehand that he did have with Innova. The Zone appears to be that disc. Well, it is the 1st tournament and watching the beginning of round 3, he is still in top 10. 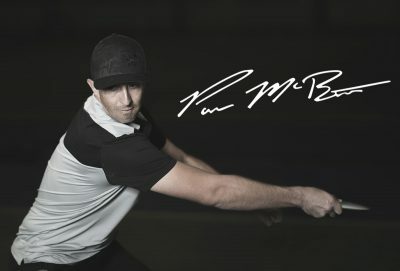 Still Paul McBeth. Great post, love the idea. It seems to me Paul is putting with way more hyzer, I wonder if he won’t make as many long ones because of this. So, was the Pig Ricky’s Harp replacement? I saw him throw one short forehand in one of the rounds that definitely would have been a Harp in previous years. Thank you! I will update the post! Great post – would love to see this more! Love this format of article. It’s very cool to see a breakdown of what players throw during a round. Thanks! Please keep these blog posts up. Thank you (and everyone) for the great feedback! Unfortunately we won’t be at every event this year, but I will try to put together a few more posts like this one here and there throughout the year. 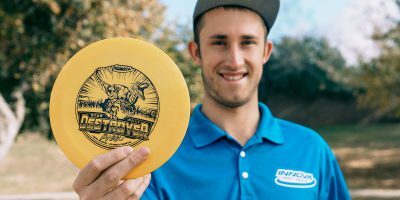 Also for what it’s worth, I have heard CCDG has been doing a great job of tracking what discs the pros are throwing on the rounds that they film. So if you love this kind of info, be sure to tune into their videos! Great post! I would love to see this data for all players on all rounds, but getting the top players is a fun start! I’d even go farther and say they the NT and DGPT should require players to pre-report their bag so that they can gather stats on discs being thrown. It’s definitely in the best interest of the manufacturers to have those stats available for the general public. I really enjoyed seeing this info as well! Thank you! Really wish the commentators would make it imperative info to include in the videos. Does look like the Pig is the new Harp. But I don’t think anything is Paul’s new FD3 yet.